Fidelity Bank began a renewed move to reach out to its customers Monday when it flagged off what it called a digital banking awareness campaign week in Lagos. 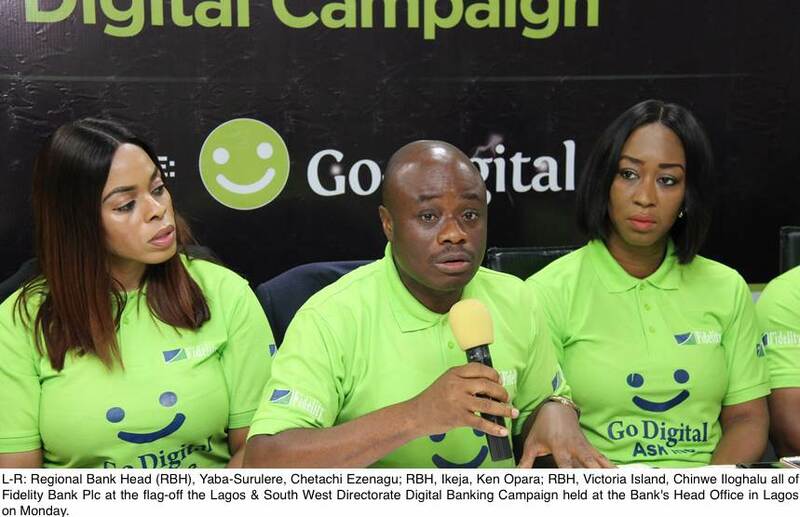 Dubbed “Go Digital” the week-long campaign is being championed by the bank’s south-west directorate and while it is on, would involve creating awareness for the bank’s electronic banking products and services. The bank is pushing to make its financial services easy and accessible to its customers, it said in a statement released in Lagos. staff would be creating awareness for including the recently upgraded Fidelity Online Banking platform. “The new look and more advanced and user-friendly online banking platform come with additional functionalities thus making financial service activities easier and faster for an unmatched customer experience,” Opara stated. Motivated by the desire to continuously improve customer experience on its services, Fidelity Bank recently introduced a personalized self-service feedback system on its flagship Instant Banking Service *770#. With all of these significant strides in technology deployment, Opara noted that there was a need to enlighten the Bank’s customers on some of its latest offerings.